Floor Space 80" (2000 mm): 11 ft. x 12 ft. Designed Speed: Variable upto 150 mtrs Per/ min. We have a considerable amount of experience in providing optimum quality Punch to our clients. The punch that we offer is appreciated for its features such as high wear resistance and ability to bear high compressive force. These punches are procured from reliable vendors, so that they give them total satisfactory service. 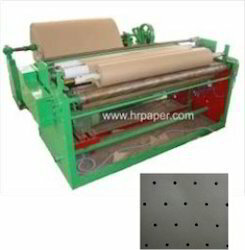 We will provide paper cup punching machines that produce superior quality output. 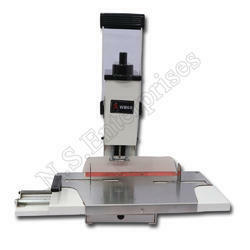 These machines are affordable in price and can be used for a long time. Backed by a team of diligent professionals, we have been able to offer Paper Punch Machines. Using superior-grade materials, our offered machines are manufactured to leave no scope for defects. Leveraging the skills of our qualified team of professionals, we are engaged in providing Punch Machine. Die Size 15" & 18"
Max Working Width: 24 to 85"